Returning to the Birmingham NEC on 1-3 November for its biggest edition yet, the three day Euro Bus Expo will feature nearly 300 sector leading exhibitors representing every link of the supply chain – from the latest ‘must have’ vehicles (over 100 will be on display), vehicle interiors, accessories and workshop equipment, to IT solutions, training, legislation updates, and essential business services. With exhibitors representing every link of the supply chain, and 9,500 key industry buyers and decision makers from across Europe being expected to attend, Bus Expo 2016 is the premier showcase for the bus and coach sector. Powervamp will be represented by their UK distributor, Alliance Electronics, who will be displaying the range of professional jump-starting equipment and accessories. 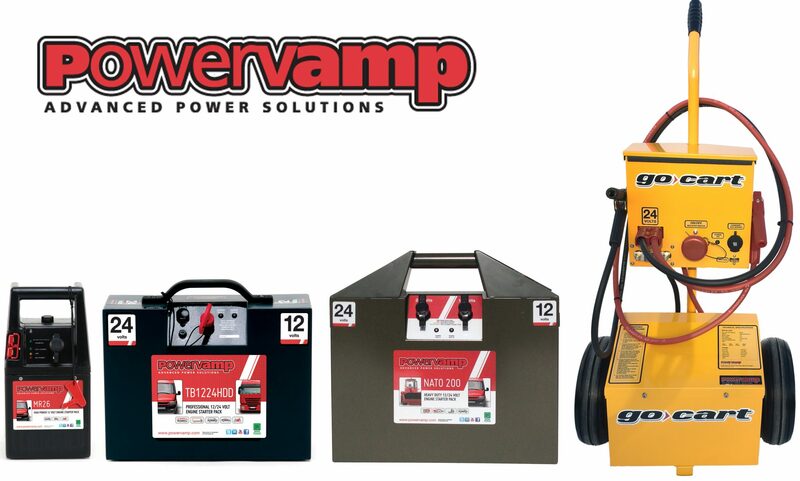 Heavy duty 12v, 24v and 12/24v jump-starters will be available to purchase from the stand. All Powervamp jump-starters are fitted with an audible reverse polarity alarm as well as a voltage spike suppression PCB to ensure the vehicles own ECU is protected at all times. The complete range of jump-starting equipment from Powervamp has evolved through 23 years worth of hands on experience within the commercial automotive markets. The products are intuitive to operate and easy to service – whilst retaining a level of quality that is often overlooked within this market. Visit stand E84 to chat with the knowledgable Alliance Electronics sales team or call the Powervamp office on 01934 643000 to arrange an appointment to discuss your commercial jump-starting requirements.